There will be a limited amount of free accommodation available staying with host families for students 18+ on a first come first served bases. An immaculate Edwardian 2 Star Hotel on the Town outskirts and only 250 yards from the Beach, Promenade and Bathing Pool at Havre des Pas. 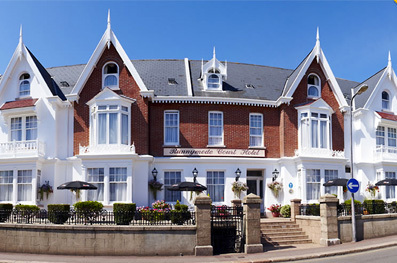 The Hotel has 57 well appointed rooms, a bright airy Dining Room overlooking the beautiful garden, a Reception and comfortable Bar looking over the Sun Terrace and a T.V Lounge. All rooms are en suite and are well presented with new flat screen T.V.s, Tea and Coffee Facilities, Direct Dial Telephones and Free Wi Fi. Jersey Academy of Music, Royal College of Music, The Tsukanov Family Foundation, Vladimir Spivakov International Charity Foundation, The One Foundation and Ensemble Productions.